Laine Katheryn Habony started dancing at the age of 3 and has not stopped since. 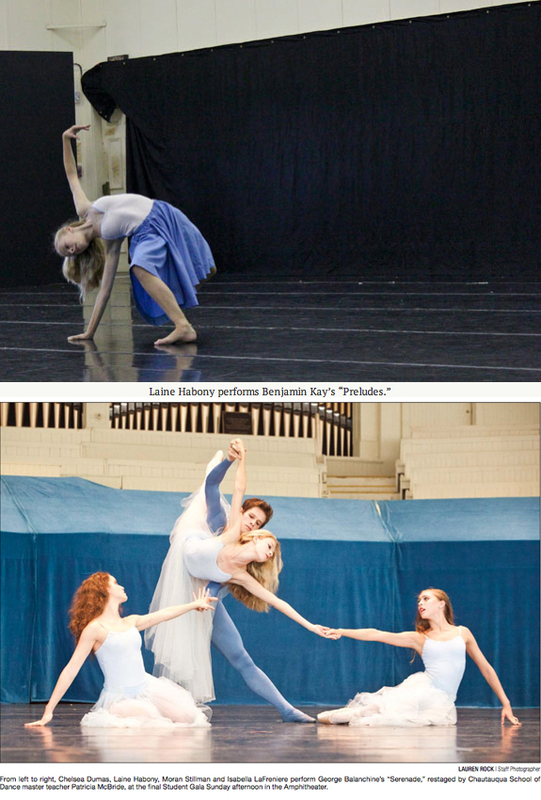 She is an apprentice in the LakeCities Ballet under the direction of artistic director, Kelly Kilburn-Lannin who is also the school director of the Ballet Conservatory. Laine has performed in many ballets including most recently Serenade and Cinderella as well as The Nutcracker, Le Ballet de Dracula, Giselle, Stars and Stripes, and Peter and the Wolf. Laine will attend the School of the American Ballet on a full merit scholarship this summer. She competed in the 2010 Youth American Grand Prix (YAGP) regional and took 1st place in the Jr. Classical Division and Top 12 in the Jr. Contemporary Division. Laine went on to NYC in March to compete in the YAGP Finals and was received scholarship offers from the Stuttgart Ballet, Canada’s National Ballet and Monte Carlo. Laine feels fortunate to have taken master classes with well-known teachers including Patricia Barker, Julie Kent, Marco Pierin, Shawn Stevens, Franco de Vita, Tara Mitten Catao, Ana Liceica, Carlos dos Santos, Rinat Imaev, Jean-Paul Comelin, and Michael Vernon. Laine would like to be a professional ballerina one day!